Earlier this year we wrote about visits to two wineries associated with Chardonnay, but no winery is as synonymous with that grape as Wente. One of the most common clones of Chardonnay used in California is the Wente clone; the origin of which are cuttings taken in 1912 by Ernest Wente from a nursery at the University of Montpelier in France. 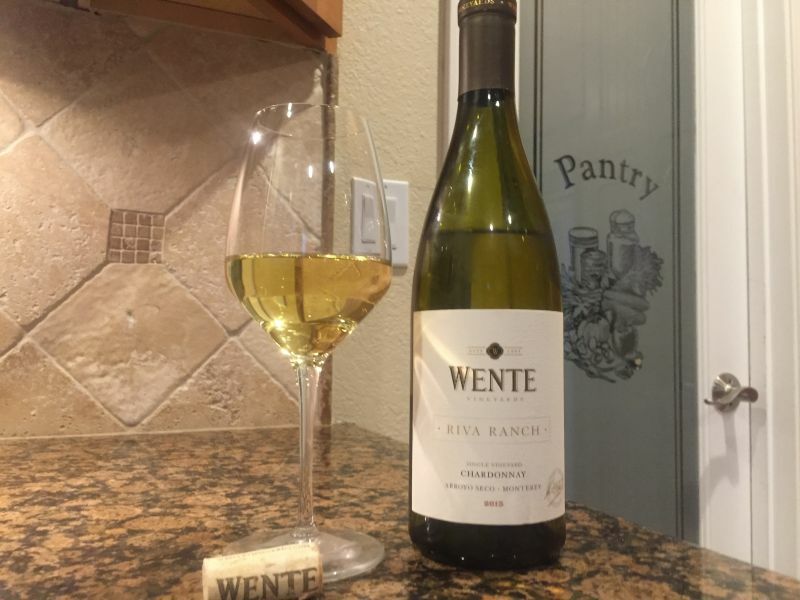 I was, therefore, excited to taste the 2015 Wente Chardonnay from Riva Ranch in Monterey County. The 2015 Went Chardonnay is a blend of multiple clones; including Dijon clones as well as the expected Wente clones. There is also 2% Gewürztraminer in the blend. The wine is 90% barrel fermented in a mix of new and used French and American Oak. The remaining 10% is fermented in stainless steel. The wine is barrel-aged for 8 months and is stirred every two weeks during that aging. Knowing this, before tasting the wine, I was expecting a wine with a creamy mouthfeel with oak front and centre of both nose and flavor. The wine was a rich golden straw colour in the glass. The nose had, as expected, distinct notes of vanilla, but the aroma was enhanced by the smell of fresh apples. Taking a long sip, the mouthfeel was soft creamy; reflecting that the wine had undergone 100% malolactic fermentation. That mouthfeel was backed up by a refreshing citrus tang; giving it a delightful additional dimension. The flavours included the expected oak elements, but peach, lime, and nuts were also present. 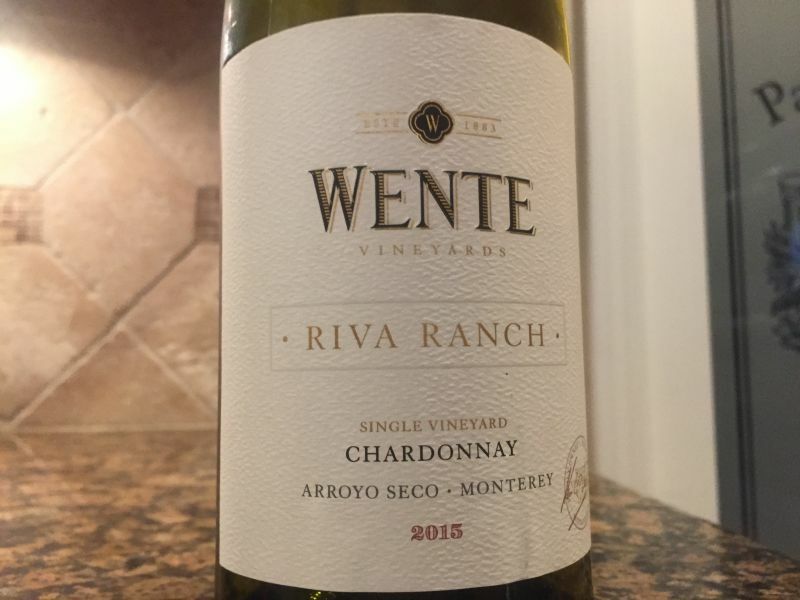 I am not, in general, a fan of oaky and buttery Chardonnay, but the Wente Chardonnay demonstrated that with care and skill a wine can be creamy and oaky, without those elements being all that is on offer. I enjoyed drinking this wine, both on its own and with roast chicken. The retail price for this wine is $22.